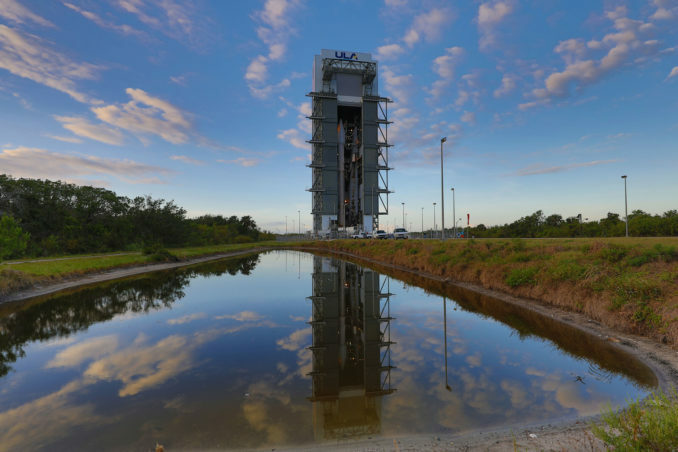 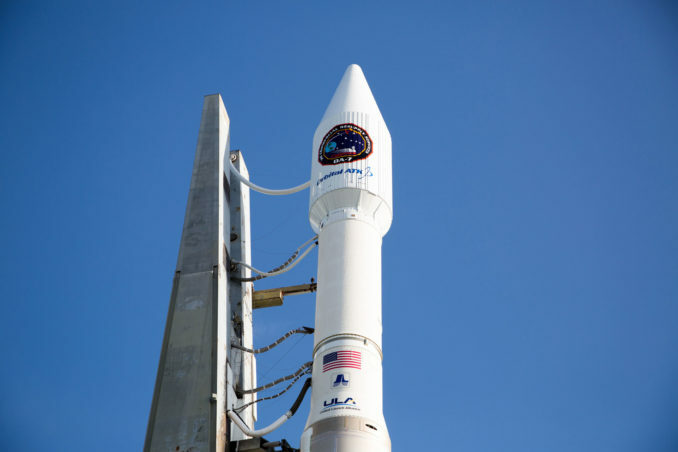 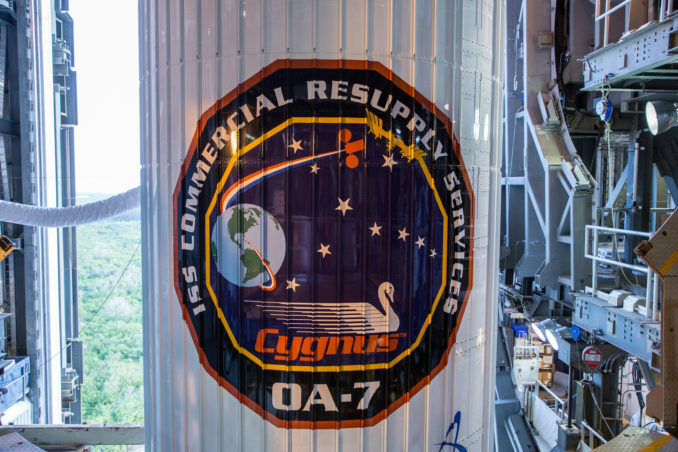 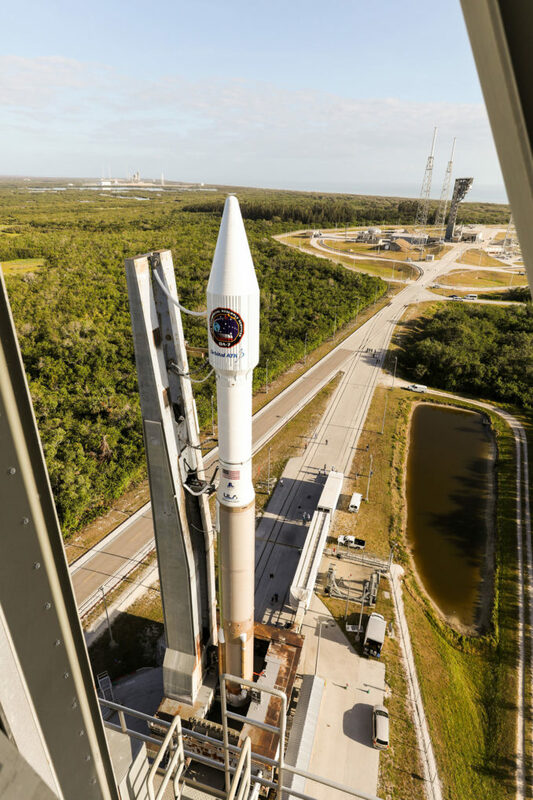 The United Launch Alliance Atlas 5 rocket was transfered from its assembly building to the pad at Cape Canaveral’s Complex 41 today for Tuesday’s launch of a commercially-operated cargo ship to resupply the International Space Station. 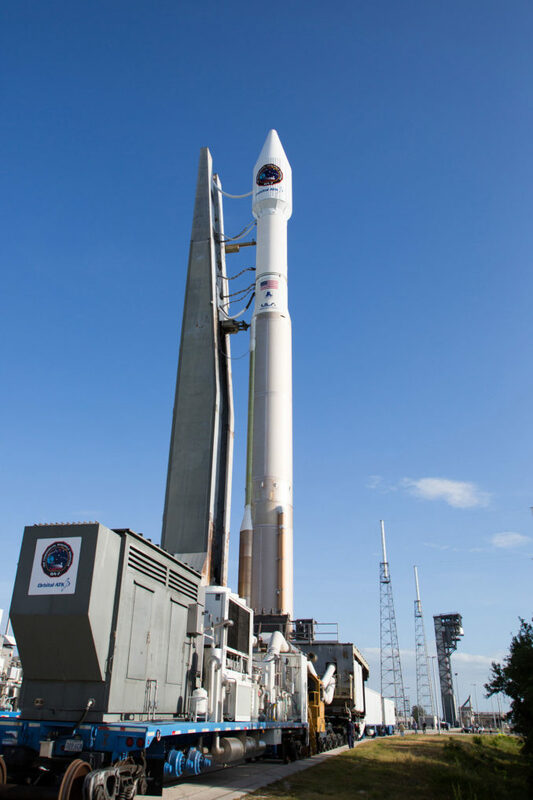 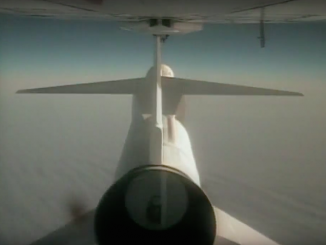 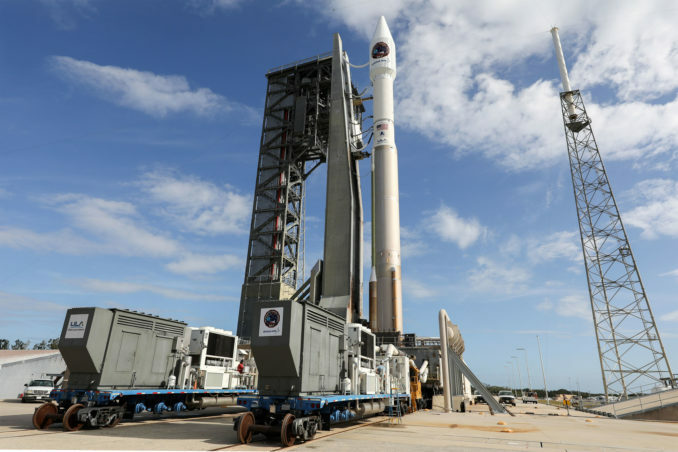 Liftoff is planned for 11:11 a.m. EDT (1511 GMT). 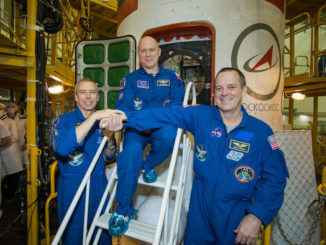 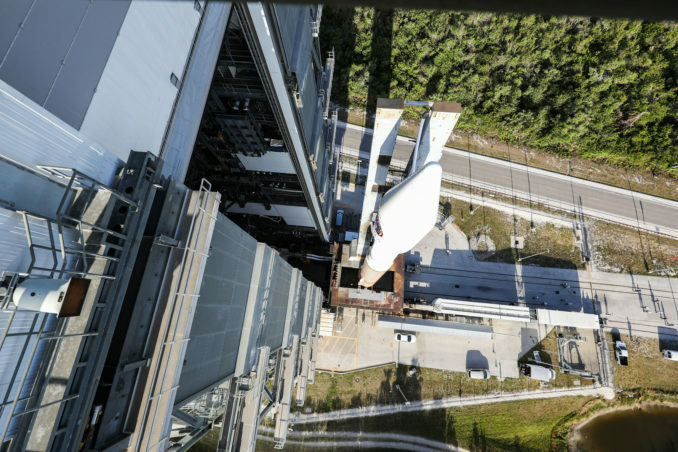 The rocket was wheeled out aboard a mobile launcher platform, emerging from the hangar where the rocket’s two stages and the payload were integrated.